Cul de sac SPECTACULAR custom build 2439 sqft 2 story with a huge triple attached garage await its new owner. This immaculate house offers 3 bedrooms on upper floor, 1 office/room on the main plus 2 more in the basement and 4 baths. Great open floor plan with soaring ceilings in foyer and living room curved staircases, hardwood, carpets & ceramic tiles. The kitchen has stainless steel appliances, abundance of maple cabinets w/large centre island & granite countertops. The nook offers soaring vaulted ceilings sky lights, transit windows & access to the huge deck to the beautiful landscaped backyard (Sour cherry, apple trees and more). Plus a main floor office. Upper level has 3 bdrms & loft. The master is highlighted w/a 5 pce Ensuite. The 2nd & 3rd bedrooms have walk in closets & share a full bath. The basement is fully developed w/recreation & media room, 2 bedroom and a full bath. 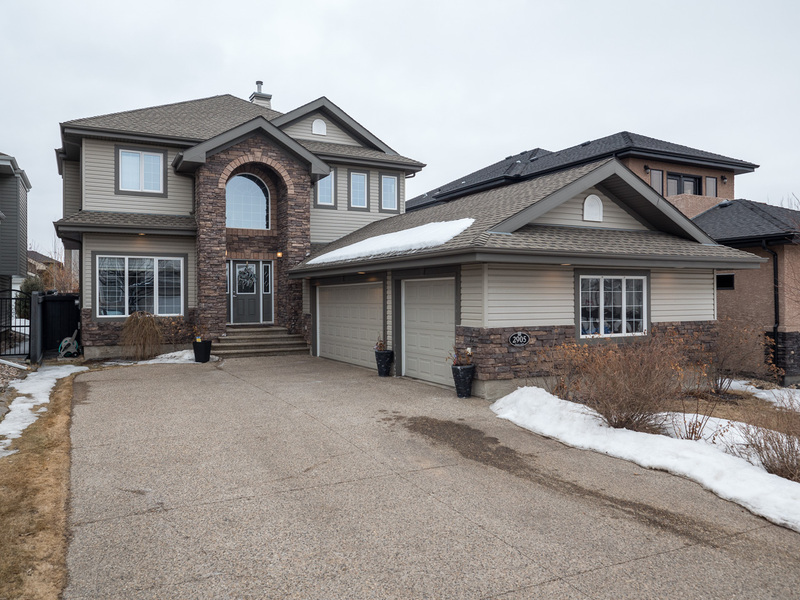 Terrific location offering easy access to U of A, Int airport, many major roadways, and walking distance to schools.